If you want to get a sense of how sovereign citizens (a.k.a. 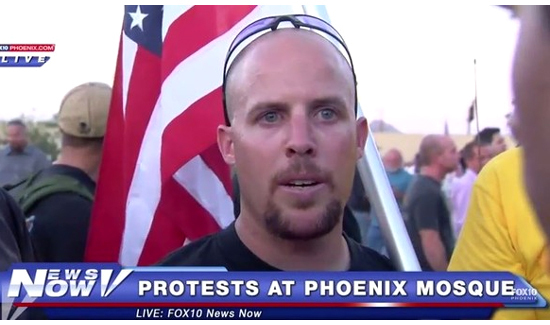 militia men and women) think, Google a guy named Jon Ritzheimer. A true legend in his own mind, this guy drives all over the country making videos, doing interviews on CNN and anything and everything else to grab some spotlight. Ritzheimer sees tyranny everywhere and says he’s ready to kill or die to set things right. The problem with these guys is it’s very difficult to identify the ones that are all talk and the others that would have no issue with killing innocent people based on politics. Not surprisingly, Ritzheimer is disappointed that local law enforcement doesn’t seem to understand that they’re on the wrong side and that the local sheriff is technically more powerful than the President. The media appears to have very little interest in the armed takeover or the law enforcement response. No one could possibly be more disappointed about that than Mr. Ritzheimer. The good news is that these guys are all social media addicts, which should make tracking them now and in the future a piece of cake.